The disaster at the Fukushima Nulclear Energy facility in Japan, has escalated to a crisis level that is putting the entire world's population at risk of radiation contamination. 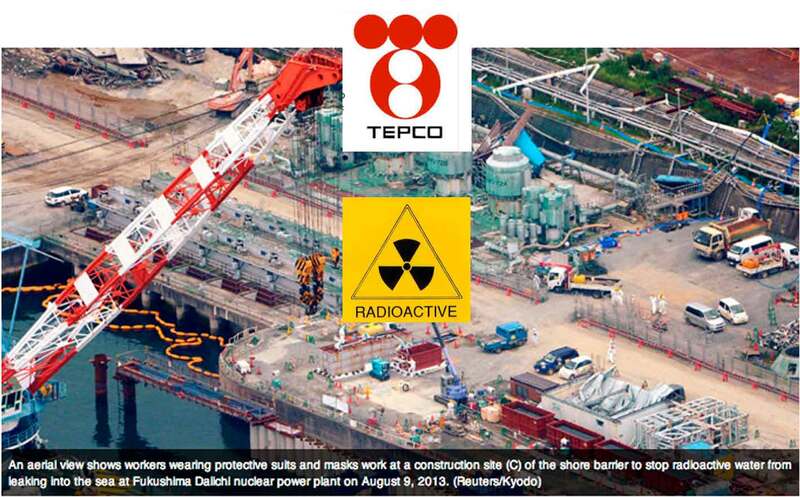 Recent reports have revealed that not only has TEPCO failed in it’s attempt to cool the radioactive fuel rods that were compromised by the earthquake/tidal surge damage, but it has also failed to contain the seepage of radioactive waste water that was contaminated in the process of trying to cool the rods down to prevent them from burning through their housings and into the earth under them. This waste water is now seeping down towards Japan’s underground aquifer water sources, and also directly into the Pacific Ocean. As this happens, ocean currents will spread the radioactive contamination globally, at levels which are entirely unpredictable due to TEPCO’s inability to stop it, or even come forward with reliable date explaining the details of how far the crisis has escalated. TEPCO appears to have no foreseeable means to safely contain (without leeks), or dispose of, the huge amount of radioactive waste water that has already accumulated. And they also do not have enough room to continally expand the storage areawhich is increasing every day — which is raising the risk of a full-blown nuclear power plant melt-down in the vicinity of three adjoining nuclear power plants. Should a meltdown occur, not only would it render the air and land toxic for hundreds of miles, it could potentially create the same scenario in the other three adjacent nuclear facilities. This reality defies both imagination, and dispels any belief in any plan for resolution that TEPCO has offered up. Given the immediacy of these problems, and the fact that TEPCO has so far been unable to exhibit any ability to resolve ANY of them, many nuclear scientists have already grimly concluded that Northern Japan may soon be a radioactive wasteland, and so will much, if not all of the world’s oceans — which will inevitably lead to the deaths of millions or even billions of people. In other words, an unthinkable global tragedy is staring us in the face even as you read this blunt evaluation of what is actually happening in Japan right now. This crisis originally stems from TEPCO's cost saving decisions to build four nuclear plants, together, without adequate protection from potential earthquake or tidal destruction — in a country that is routinely plagued with both. This scenario could therefore be repeated in many other nuclear energy plants around Japan, and it serves to highlight a fundamental, unavoidable problem with all nuclear power plants: they all produce nuclear waste that cannot indefinitely be safely disposed of anywhere on earth. Wherever it is disposed, that land will become a tenuous hazardous waste site forever. The scale of this disaster requires Japan to immediately seek out the collaborative intelligence and finances of the entire world’s scientific community to help them. Some scientists have suggested that Russia would be a good place to start because they have already learned from the Chernobyl disaster. The fact that Japan hasn't already explored this option reveals the deplorable state of Japan’s leadership, or of leadership in any part of the world for that matter, since no other country has publicly come forth to offer Japan either ongoing guidance, or financial backing to help them deal with this life-threatening, national and international state of emergency. It seems that the time has come in our energy dependent world that we need to look atgovernment for what it really is: a nationalized hierarchal business structure that feeds its own existence by controlling its internal resources, and if needed, the external resources of others — either through negotiation, or by force if powerful enough to attempt to do so. In this sense, it is obvious that today’s Heads of State are not moral or humanitarian leaders in any way. They are essentially national CEOs, typically with a “Mafia-like” vision of power that is centered on maintaining government profit margins at all costs, and on their need to sustain themselves through control of others. People everywhere are fed up with this state of affairs, as can be seen in Syria, Egypt, England, and also the United States where the reach of government has exceeded its own Constitutional legal limits regarding public privacy. Limits that the oppressed people of the world had formerly admired, and aspired to create in their own world. This crisis demands a new kind of leader. Someone who understands his or her responsibility to protect the quality of life in his or her nation’s population and their environment, and also to respect and protect the needs of the world as a whole. Unfortunately, Japan lacks that kind of leader, just as the rest of the world does. But ironically, in Japan’s case, it is the one country that has already suffered horrifically at the hands of nuclear destruction, and yet it is now on the precipice of both destroying itself, and the rest of the world with it, because Japan’s government foolishly decided to buy into the toxicity of allegedly “cheap” nuclear energy, while ignoring the inherent dangers. If Japan ever needed a Shogun, it needs one now, or it will become a toxic wasteland that no one will go near, much less import automobiles from. And as far as automobiles and energy go, this crisis has also made it lucidly clear that the only intelligent path forward in the field of energy is non-nuclear — it is Solar. And it is my opinion that emission-free and sustainable Solar energy should not come from dependence on self-serving government managed utility companies. Utility plants should only serve large local and national infrastructure needs, while private businesses, homes, and cars (emission free electric) should all be powered by home based Solar units, maintained by private citizens. This is a concept that Japan can easily create since they are the transportation leaders of the world, and therefore they necessarily carry the responsibility of setting a standard that will insure both their own clean energy and survival needs, along with the survival of everyone else. That is, if it is not already too late. In recent days, TEPCO has finally reached out for help from the international scientific community, and Russian scientists are now working with them. But as I have dug deeper into reading internal reports from Japan, it has become clear that the Japanese Government has held back funds in hope that TEPCO would do this cheaply, on their own. This is a gross error in judgement and it warrants public condemnation. Japan fails to grasp the magnitude of lawsuits that will come from their outright destruction of the world’s oceans. They could potentially wipe out Japan’s finances as a country forever. In other words, there will be no money to govern the country, and their status in the world will be forever destroyed, because radiation of this magnitude lasts for decades upon decades. This column was written by Michael Yankaus, MA/ED. Michael is an educator, graphic designer, and surfer who has enjoyed an appreciative relationship with the Ocean for the past 30 years, and feels compelled to use his communication skills to attract attention to the urgent need for the world community to help resolve the Fukushima crisis. He is in no way anti-Japan. But he is deeply concerned with the way Japan has handeled this crisis. 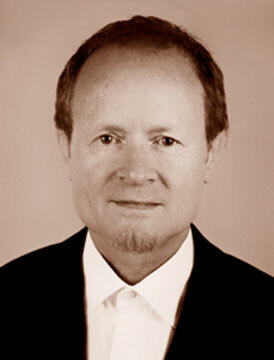 Michael believes that the world community also needs to establish a global environmental protection agency, similar to the UN but with real legal power, to address the growing Global Warming crisis and many other international problems of pollution, over-fishing, and systemic abuse of the environment.